It was in the 60s when Ian Gillan & The Javelins, at the time simply called The Javelins, were originally founded. Being influenced by American Pop, Soul, Country, Jazz and Blues artists from across the pond, they soaked up the music of their heroes, added their own stamp and went from town to town to perform their favourite songs in front of a small but ever-growing audience – becoming local heroes in their own right. It was the time when Ian Gillan discovered himself, broke the chains and ‘found his voice’. The Javelins paved the way for the frontman Ian Gillan who only a few years later wrote music history with Deep Purple and now belongs to the most important and path-breaking singers in the history of rock. In 1962, The Javelins gigged at Youth Clubs, gained residencies in pubs, won a local talent contest, attracted screaming girls – what they never did was to go into the studio to record an album. In fact, this changed only in 1994, 30 years after their initial formation, when the band set off to record “Raving With Ian Gillan & The Javelins“. They repeated this motion in 2018 when they recorded “Ian Gillan And The Javelins“ at Chameleon Studio in Hamburg. Having only been released via a fan club label, their long-forgotten debut “Raving With Ian Gillan & The Javelins” includes 14 cover versions of 60s pop classics, all done the Javelins way and straight out of the band’s 60s set list. Ranging from Chuck Berry to Cliff Richard and The Coasters, these catchy songs transport you back into a time when rock’n’roll music was at its prime. 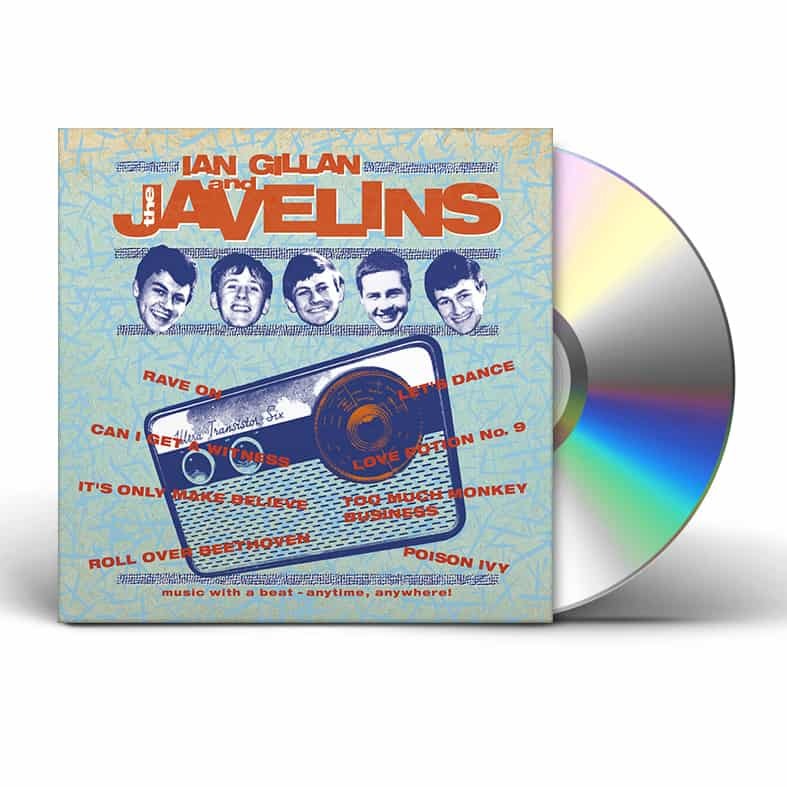 Now being re-released in a high quality digipak and for the first time also on vinyl, “Raving With Ian Gillan & The Javelins” is a brillant collection full of classics that invite to dance.